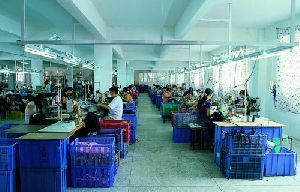 Kingslong Industry Group .,established in 2000,is one of the most professional manufacturers in laptop bags,CD wallets and digital camera bags ,known for the delicate workmanship and innovative design. With 15000 square meters factory, 560 skillful workers, 18 R&D Enginees,senior QC persons,and advanced equipements, we have been approved ISD9001:2000 and created our trusted brand-kingslong in the world textile and computer accessories industry. In order to satisfy different demands from various markets, also insist the principle of innovating for development, we continuously strive to improve our production capability and efficiency, with strict controling on quality,initiative on products exploration and best services to all the customers. We,Kingslong sincerely would like to seek and develop long terms cooperation with all the people for bag manufacturering . 4. OEM Laptop Backpack, Traveliing Backpack, So Fashin And So New Design!